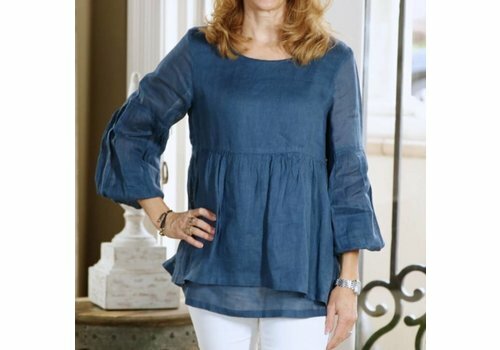 The Christina is a basic button front blouse made longer with high slits on the side so it can be worn over leggings and skinny pants, or as a light jacket. 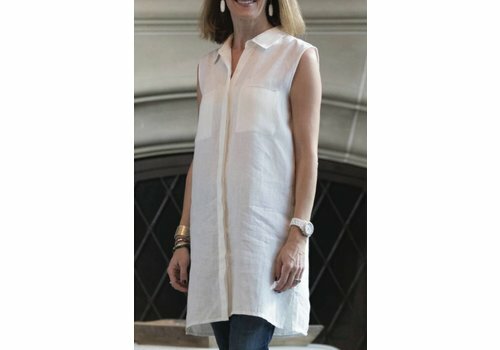 Enjoy the 100% European linen tank with a v-neck, wide shoulder and a loose fit. 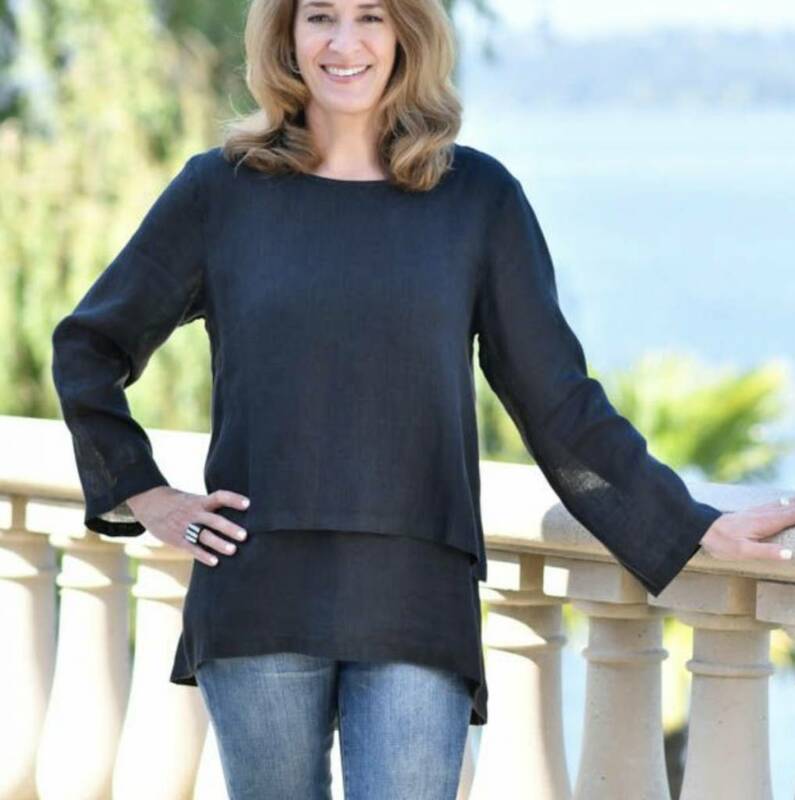 This top looks great under a jacket or kimono, and is flattering on all body types. 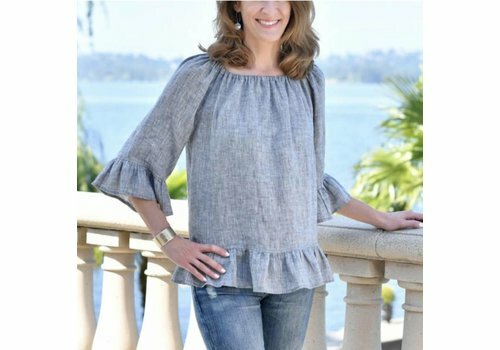 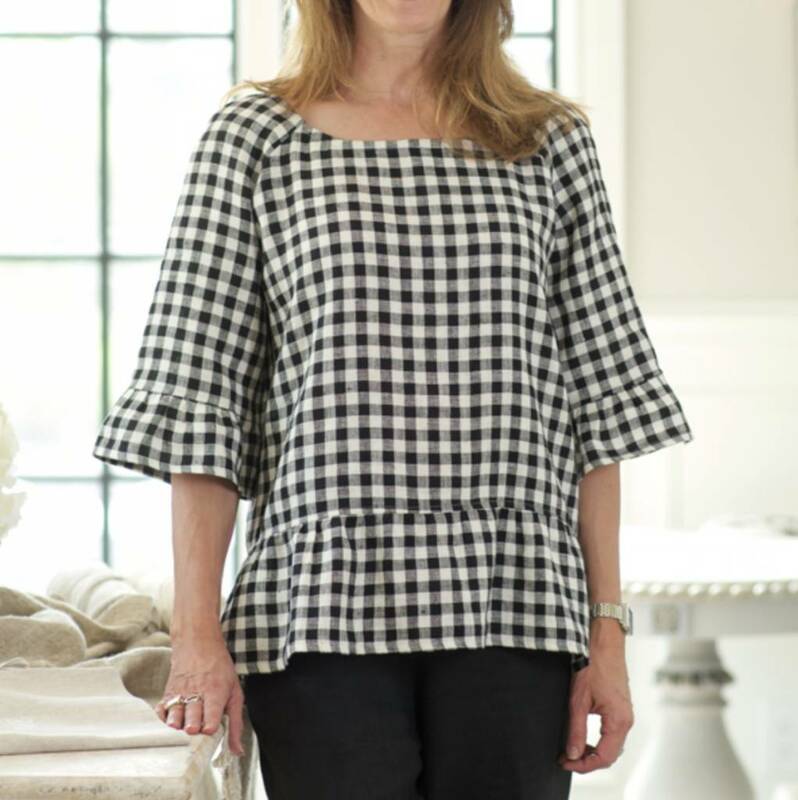 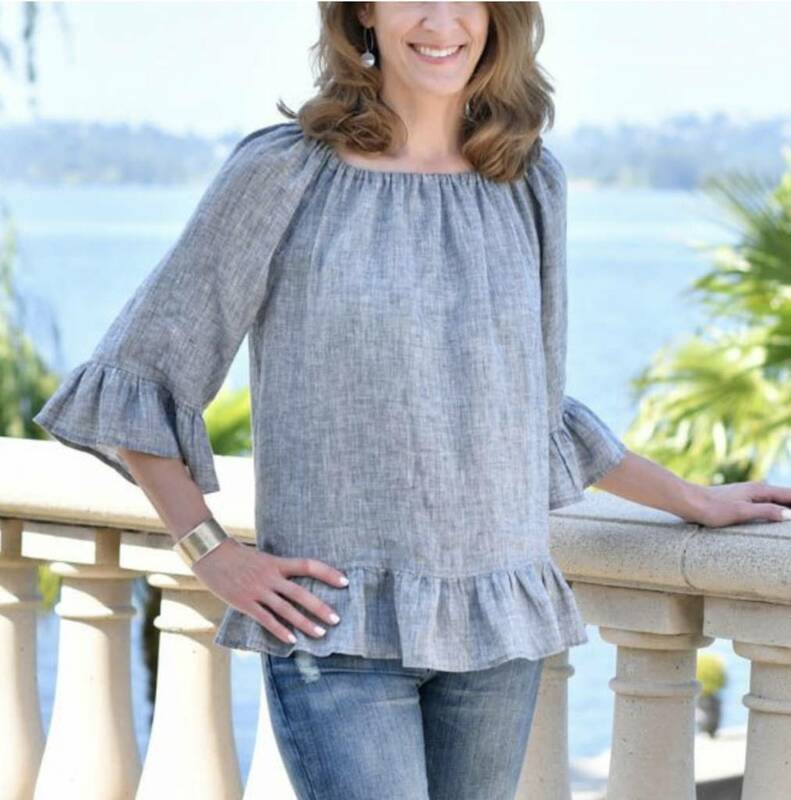 The Sarah Linen Ruffle Top is made of 100% European Linen. 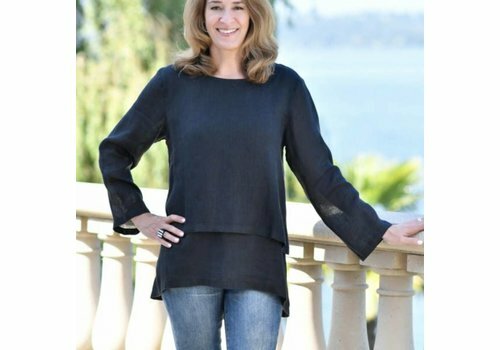 This free flowing top has an elastic neckline and can be worn above or on the shoulders. 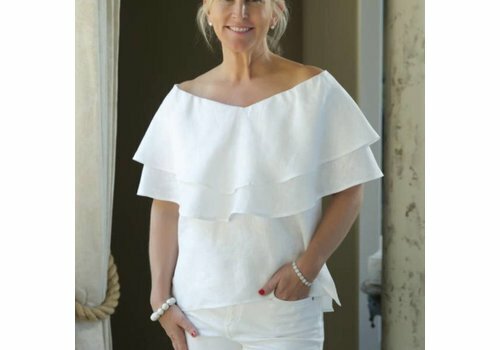 The waist line ruffle hits below the belt line and pairs great with jeans. 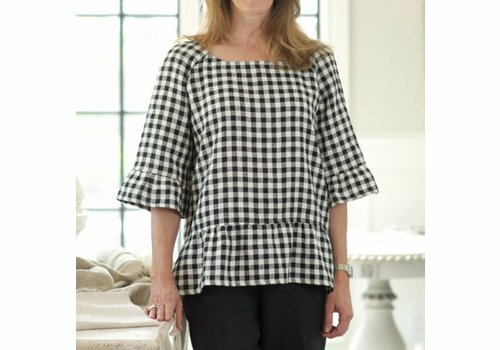 The Collette Blouse is made of our signature 100% European Linen. 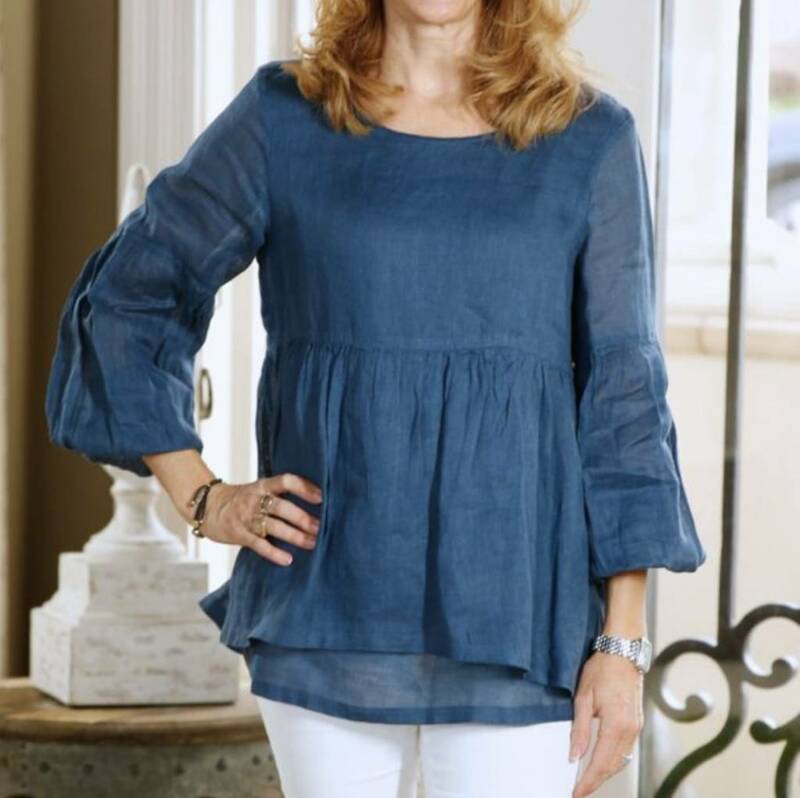 This short sleeve top has amazing elegance. 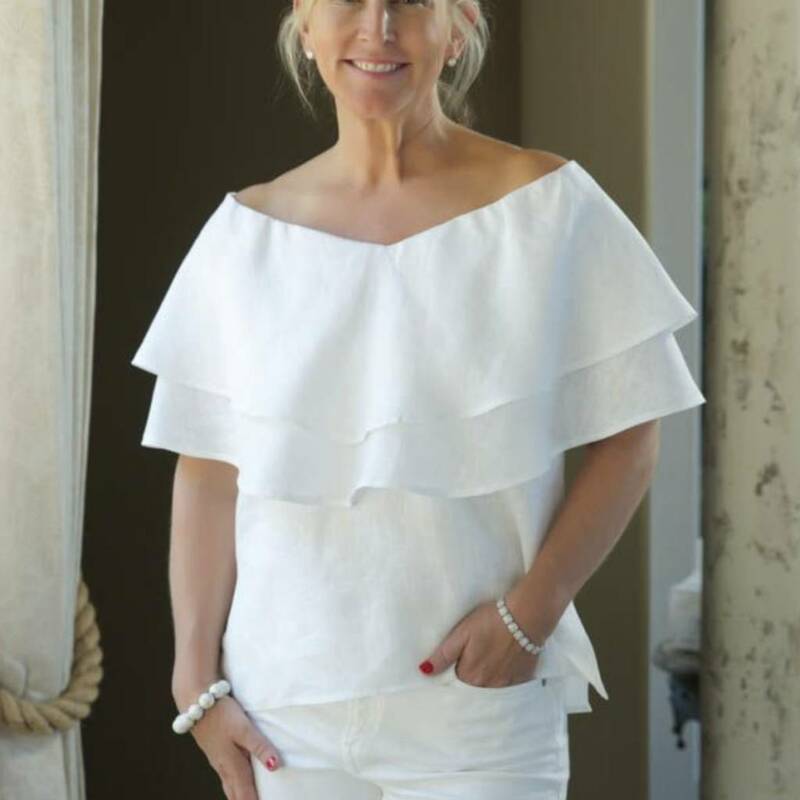 The neckline has a small amount of elastic around the shoulders and back so the ruffles perfectly stay on your shoulders. 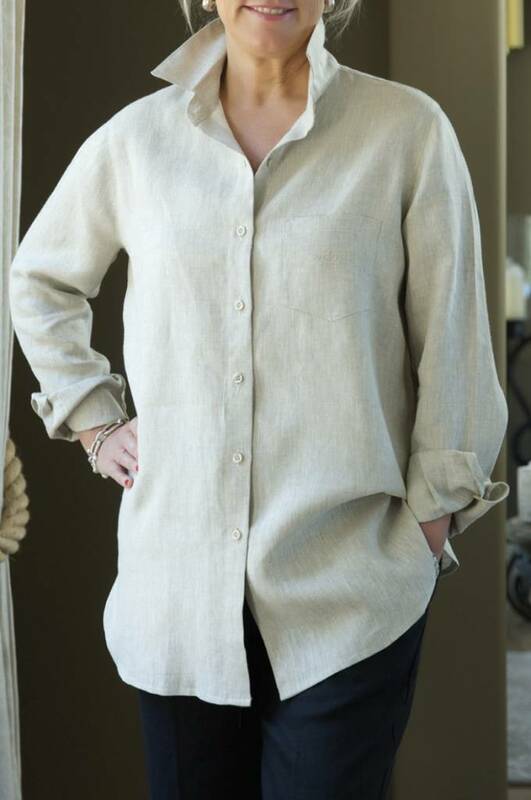 You will love this 100% European Linen basic shirt which comes loose fitting with collar, buttons down the front and long sleeves. 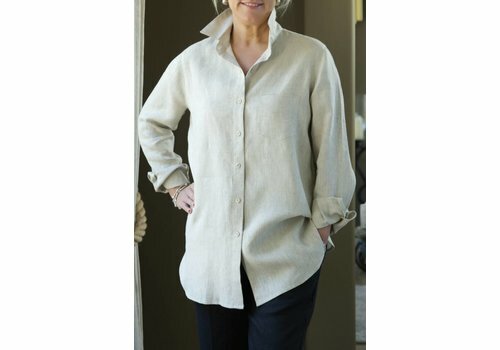 Wear it year round as linen keeps you warm in the winter and cool in the summer. 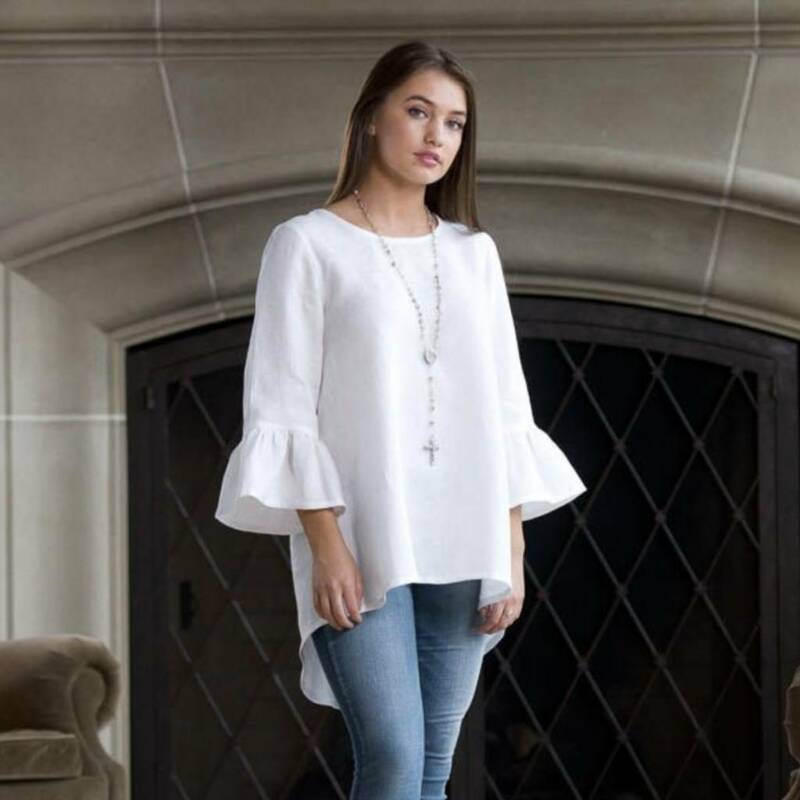 Enjoy this beautiful 100% European off the shoulder top we call Lola. 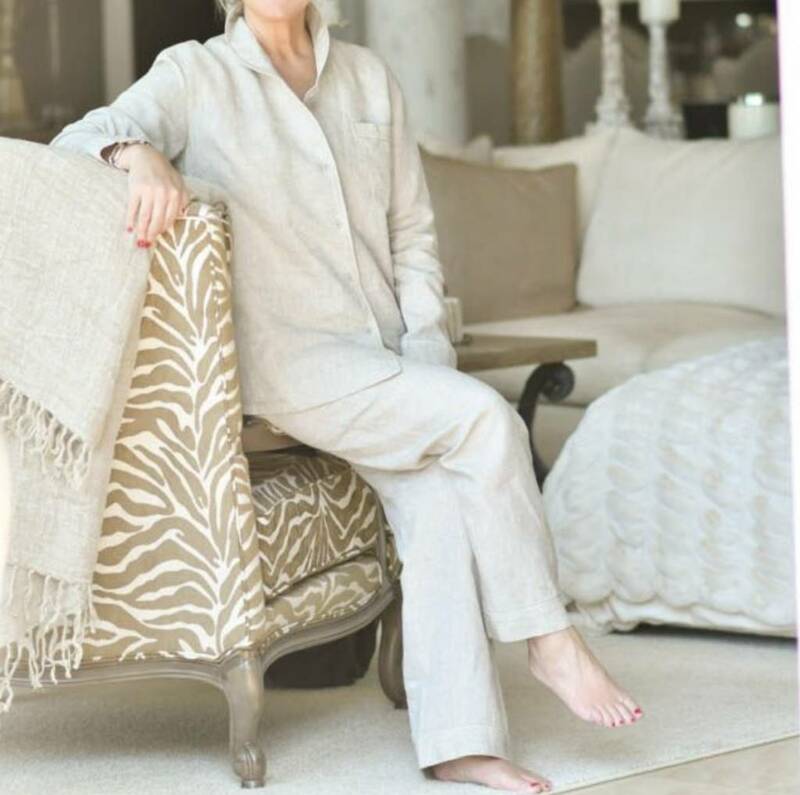 Linen can be worn all year because it will keep you warm in the winter and cool in the summer. 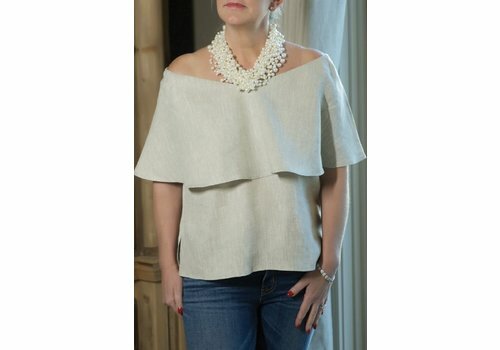 The Bailey Top is made of our signature 100% European Linen. 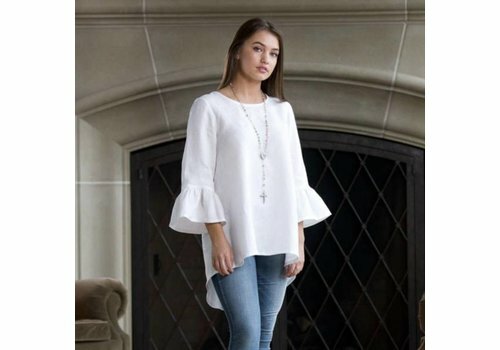 This short sleeve top has amazing elegance.